Did You Know Santa’s Reindeer Are Finnish? Now Dasher! Now Dancer! Now, Prancer and Vixen! On, Comet! On, Cupid! On, Donner and Blitzen! Oh yea, and Rudolph…the most famous reindeer of all! Few animals are quite as famous as Santa’s reindeer. They’re mentioned in stories and songs. Heck, some have even gone mainstream. I don’t think we need to tell you about that Rudolph movie. But have you ever wondered how these flying, four-legged superstars got their start? Have you ever wondered where Santa recruited his reindeer? Would you have guessed Lapland, Finland? The reindeer has had – and for that matter still has – an important economic role for the Finnish. In fact, the number of reindeer in Lapland roughly equals the number of people. Yikes! 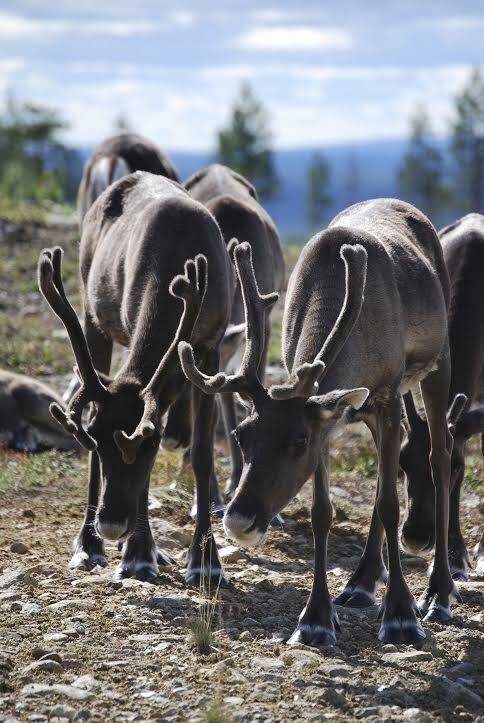 Altogether there are around five hundred reindeer in Lapland. In fact, there are so many reindeer roaming the streets that there are several thousand reindeer-related road accidents every year. So now for the question on everyone’s mind: where did all of these reindeer come from? It all started in the Middle Ages, when the Finnish people began catching reindeer in traps and snares, eventually domesticating the animal. Believe it or not, ALL of the reindeer in Finland are domesticated. Thus all reindeer hunting is prohibited. Ever Wanted to Rub Elbows with a Reindeer? More Importantly, Do Reindeer Have Elbows? In Lapland, there are actually several reindeer parks where tourists can walk among the reindeer and learn more about these wonderful animals in their natural habitat. Some parks even offer reindeer sleigh rides. And if that doesn’t get you in the Christmas spirit, I don’t know what will. They say this is the season of giving, so why not give yourself a well-deserved vacation? AESU can help! AESU offers unique, exciting travel programs for college students and young professionals at affordable rates. Each trip is action-packed and informal—designed just for people your own age. We are also able to design custom tours just for your group. Want help booking a relaxing Holiday Vacation? Please contact AESU by calling 800-638-7640 or fill out the contact form found on our website. And don’t forget to check out all of our great Travel Tips, especially the Travel Tips for Europe, before you head overseas. This entry was posted on Thursday, December 4th, 2014	at 3:10 pm	. You can follow any responses to this entry through the RSS 2.0	feed. Both comments and pings are currently closed.